The collapse of the beautiful 1840 stone arch tunnel that carries High Falls Creek under the canal, which has caused the loss of water through UBE (and points south) since March 29th, is slated for temporary repairs to get water flowing while the larger and more complicated permanent reconstruction, which must go through the state design and bidding process, runs it’s course. 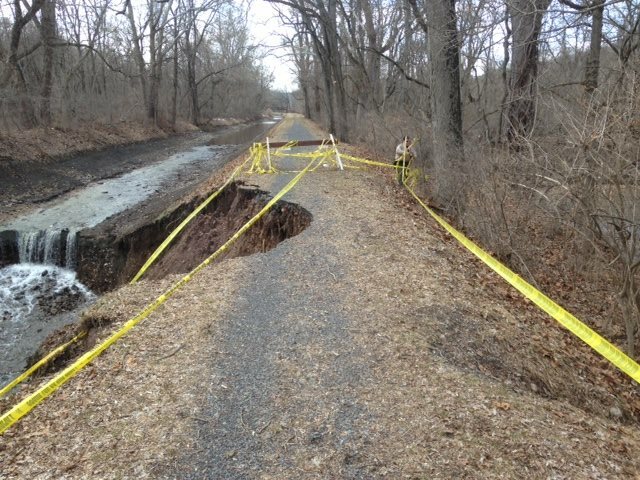 While DCNR has appropriated funds for the repairs, according to Rick Dalton, Park Superintendent, the Friends of the Delaware Canal (http://www.fodc.org/) have provided substantial financial support for this project. Bi State Construction Co., Inc. of Easton, PA will execute the temporary repairs. Work began Tuesday, 5/5 and is slated to take about a month. The concept is to make a curved metal plate that will be anchored in cement footings to cover the open part of the culvert. It will take 2-4 weeks to fabricate the arched metal plate. Then the canal will be able to run over it, although maybe not at a full volume. 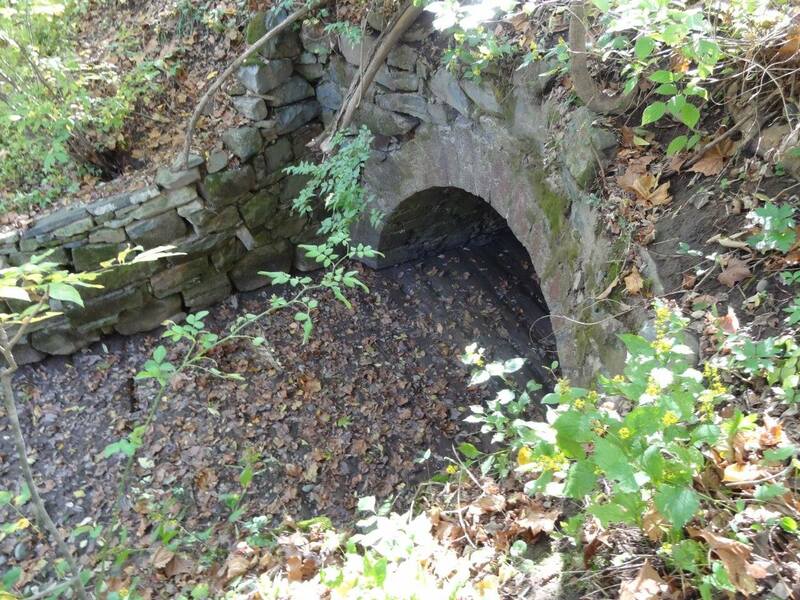 The elegant, original stone arches will be preserved. On the FODC website, there is a button called “LET’S HELP KEEP WATER IN THE CANAL”, with a “DONATE NOW” button.